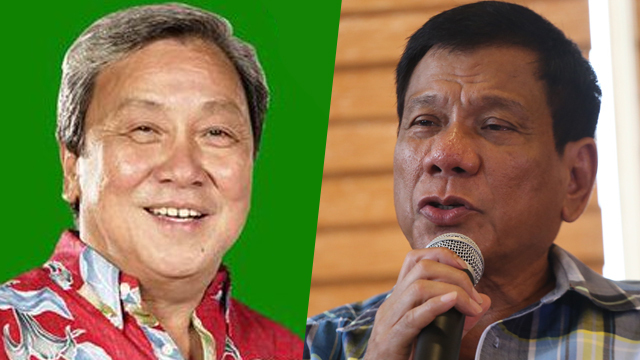 Former Manila Mayor and now Buhay party-list Representative Lito Atienza stated that he supports President Rodrigo Roa Duterte’s plan of rather than going to war with a force we cannot reckon with, the Philippines can rather split whatever the joint exploration of the Philippines and China on the West Philippine Sea brings by 60-40. “We fully support and appreciate President Duterte’s plan to forge a 60-40 sharing agreement with China for the joint exploration of the [West Philippine Sea], rather than risk going to war with our superpower neighbor," Atienza stated. Other “long-standing claims of countries other than the Philippines and China also exists. “For any country to force its claim on these would mean war. Can we defend our claim against all other comers? The Benham Rise, on the other hand, is clearly and definitely ours, no ifs, no buts," said Atienza. The representative also stated that it would be such a waste if Duterte goes with the naysayers, the Philippines doesnt really have the money to explore it, so this may be the best solution that the President came up with. To sow the benefits all while not spending anything, a ‘win-wn’ situation. "Can they guarantee any beneficial effects if we go up against our superpower neighbor? Sayang lang if we don’t push through with this," Atienza poined out. "Wala naman tayong pera pang-explore on our own. Eh wala nga tayo ni perang panglinis ng Pasig River. We fully support the President on this and we believe this is the best solution for everyone,” Atienza once more pointed out.